Chunky, transparent beads that are 2-toned with a silver-lined hole which creates a mirror-like shine. 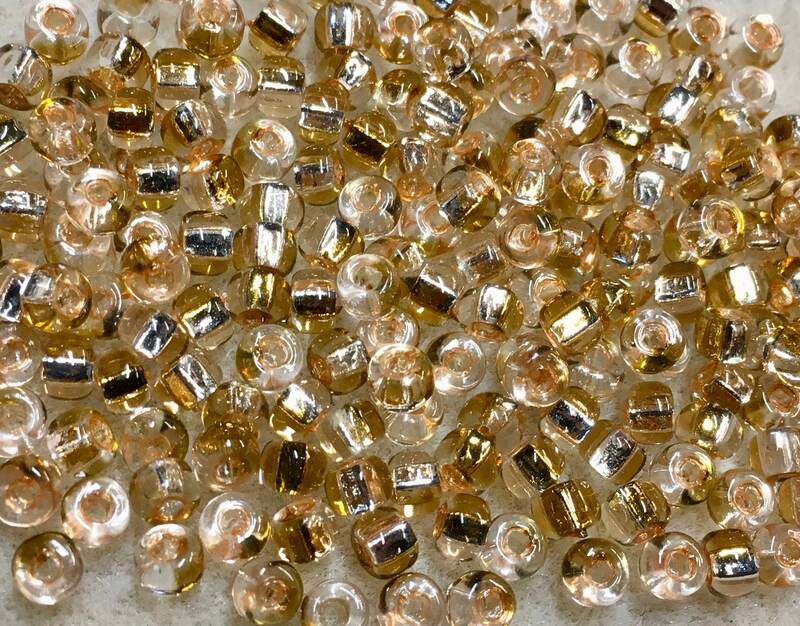 These 6/0 seed beads measure 4mm x 3mm with a hole size of 1.3mm. There are about 12 beads per gram (about 336 beads in a 28 gram tube). Larger seed bead and can be great used as spacers between beads in stringing because of the uniform shape and roundness. They can also be used on larger threads and yarns for knitting, crochet, macrame and weaving. Japanese seed beads are designed to have a larger hole that allows for even more passes through for threads. Consistent size, shape and quality!